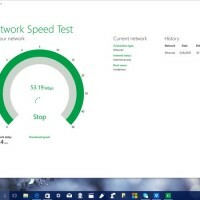 Today we will highlight a very important Windows 10, Windows 8.1 and Windows 7 compatible App known as Network Speed Test. Not the most original name for an App but it does exactly as the name says and it is one of the best if not the best little tool to use to find out how fast your internet speed is. Lets find out if it is worth your time to download. 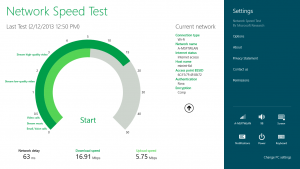 What Is Network Speed Test? 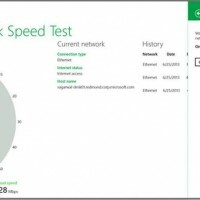 Network Speed Test measures your network delay, download speed and upload speed. Using servers all over the world, Network Speed Test measures your network connection’s latency and throughput. Based on your connection’s speed. Network Speed Test will tell you what activities you might be able to do, such as stream music or video calls. Slide to the right to see a history of your previous tests for easy comparisons. Measure your network latency, download and upload speeds. Understand what activities, such as streaming music, you might be able to do. See information about your network, such as the SSID and BSSID when you are connected to a Wi-Fi hotspot. 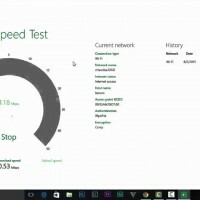 The Network Speed Test app is actually an official software from Microsoft themselves! 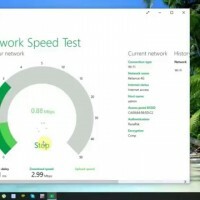 I don’t know why they just don’t package this program in Windows 10 at least but either way, it is a must have tool for anyone who wants to know if their ISP is throttling their bandwidth or capping their download speeds.